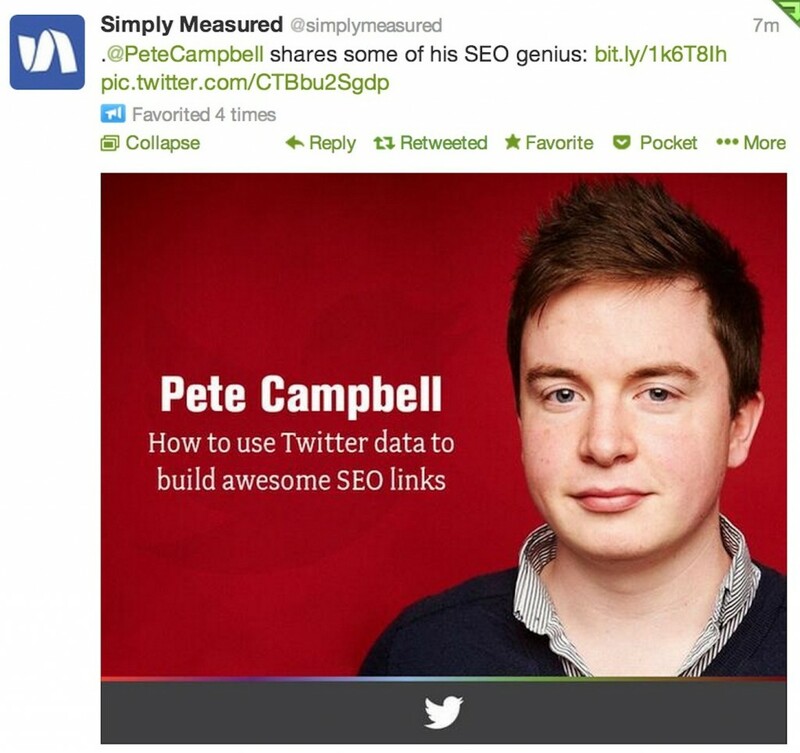 Earlier this month, the lovely data-nerds over at SimplyMeasured invited me to be their very first guest blogger. SimplyMeasured have a huge range of social media analytic reports, which are an absolute goldmine in my eyes when it comes to targeted blogger outreach. In the post, I show you how to leverage your Twitter Follower data to build up a very targeted list of bloggers/publishers who you can then outreach too – hopefully securing a few awesome links in the process. After all, if an influencer already follows you – why wouldn’t they consider linking to you?